Jean and Linda took packed cars to five bootfairs in 2007. 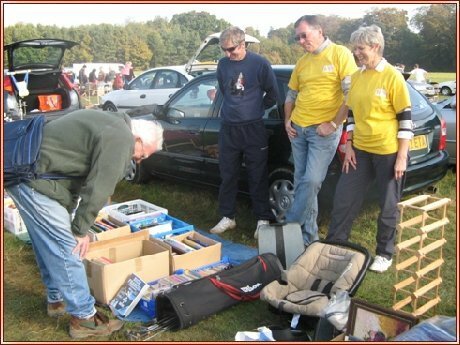 As usual, the items for sale were many and varied, but were mainly donations from friends and family. Tina also sold goods at bootfairs in Aberdeen with her other sister, Ann. Money raised from all these events totalled £764.